A reading suggestion by a colleague led me to discover the Bellwether Prize for Fiction. Established in 2000 by novelist Barbara Kingsolver, the Bellwether Prize rewards writers whose novels deal with topics of social responsibility. It is also somewhat unusual in that it recognizes unpublished manuscripts. The winner receives $25,000 and a guarantee to be published by a major publisher. The Bellwether Prize is awarded every two years. 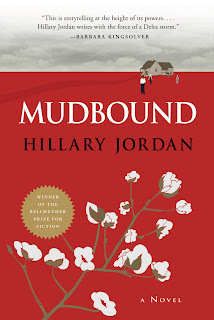 btw, the reading suggestion was for Mudbound, which my colleague claims kept her awake half the night reading. She simply could not stop reading until she finished the story.